PRESIDENT Emmerson Mnangagwa’s spokesman George Charamba yesterday said government was not in a hurry to arrest former Cabinet minister and Zanu PF commissar Saviour Kasukuwere, who returned to Zimbabwe last week after spending nearly six months in exile following the removal of former President Robert Mugabe. 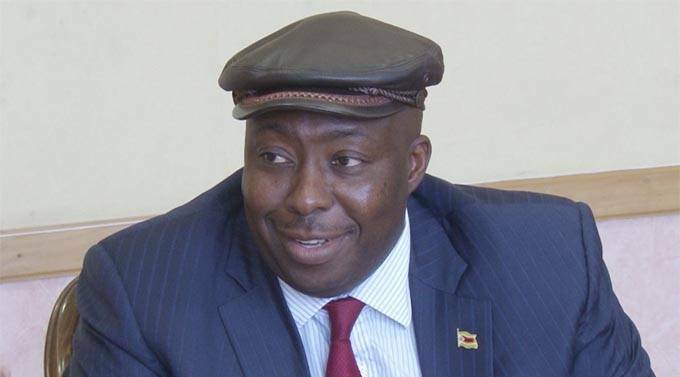 This came after Mnangagwa last December claimed that the government was seeking Interpol’s help in having Kasukuwere arrested and repatriated back to Zimbabwe, hinting at a quick prosecution, but it seems authorities were now taking a different route, with Charamba saying there were processes to be followed. “If a citizen has a problem at law, the charges are raised against him through appropriate channels and then taken to court. That is how processes happen,” he said. “You will start saying human rights have been violated. Critics have accused authorities of using the phrase “criminals surrounding the President” as a smokescreen to push out Mugabe as no reasonable charge has been preferred against the accused. However, Charamba said there was no need to bow to pressure of critics. “Critics will always be with us, but justice is in fact certain and no government is driven by critics, but driven by due processes of law. “The decent thing for all of us is to get to know if the man is going to be arraigned and if so on the basis of what alleged crimes and is he going to raise a defence, assuming that he is arraigned, that is the logical thing. Charamba said they have to take into account human rights before rushing to arrest anyone. “When we are talking about the rights of a citizens, it means that we have to follow due process and I don’t know why anyone would think the due process has not yet been followed or will not be followed or that the person will be arraigned or not be arraigned,” he said. Kasukuwere is part of the G40 grouping that was reportedly angling to take over from Mugabe and shut out Mnangagwa. When Mugabe was removed from power, soldiers allegedly raided Kasukuwere’s home, where they fired a salvo of bullets.